A recent survey from the National Federation of Women’s Institutes (NFWI) and NCT (National Childbirth Trust) found that 29% of women unable to see a midwife access primary care or A&E in the postpartum period, and that 64% of these women present with concerns about feeding. Rightly or wrongly, families do and will contact their GP when other specialist channels fail them. So why don’t we harness these presentations to protect and promote breast feeding—safe in the knowledge that this will reduce the future workload generated by the tiny human before us. As well as reducing infant illness, increased breastfeeding rates would lead to reduced maternal breast cancer; breast feeding is protective for triple negative breast cancers (TNBC), which are aggressive, difficult to treat, and which predominantly affect premenopausal women. Our protection of, and support for, breast feeding could therefore mean that fewer of us would need to support children and families grieving the loss of a mother to TNBC. GPs with commissioning roles should understand the value of breastfeeding support in a health economic context. We are not best placed to provide this specialist support, but we can embrace having a basic understanding of the difficulties, and we should have clear referral pathways that allow us easy access to prompt expertise for our patients—especially in the crucial early days and weeks. We can use sensitive language to support and encourage families, and can direct them to accurate and impartial information that will aid informed decision making. Whatever method families choose to feed their babies, many will seek our guidance: “how much formula does he need?”; “could she have an allergy?”; “does he have colic?”; “can I take this medication while breast feeding?” We need to remember the trust that these potentially vulnerable mothers place in us, and give them accurate, honest, and sensitive advice. There are moves afoot to acknowledge the crucial part that primary care can play in infant feeding. Norwich clinical commissioning group is rolling out a scheme for practices to become “breast feeding friendly,” with the provision of training and support for practices. The recently formed GP Infant Feeding Network (UK) (GPIFN), established by Dr Louise Santhanam in 2016, is advocating for best practice in infant feeding among GPs and promotes collaboration between GPs and associated colleagues. Its website launched in spring 2017 and provides a comprehensive resource for GPs and other primary care clinicians on all aspects of infant feeding. Clare Macdonald is a GP working in Leicester. 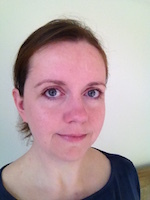 Competing interests: I have read and understood BMJ policy on declaration of interests and declare the following interests: I am a member of the GP Infant Feeding Network (UK) (GPIFN) executive team and co-developer of the GPIFN website with Louise Santhanam. GPIFN is a network of trained individuals, including general practitioners, who have volunteered their time to work on quality improvement in the area of infant feeding. GPIFN is not a charity and is not currently in receipt of any public funds. The time and costs of producing the website and other activities undertaken by GPIFN are voluntarily self-funded by its members.